Allison and I with Monty called by The Museum of the History of Science on broad street to see the Annual event Marconi Day Saturday. 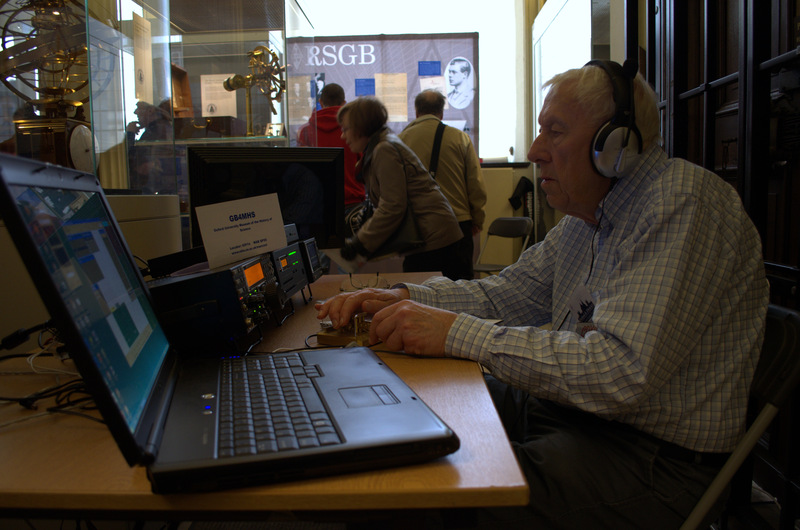 The Oxford & District Amateur Radio Society had been invited by The Museum of the History of Science to celebrate the birthday of Guglielmo Marconi. 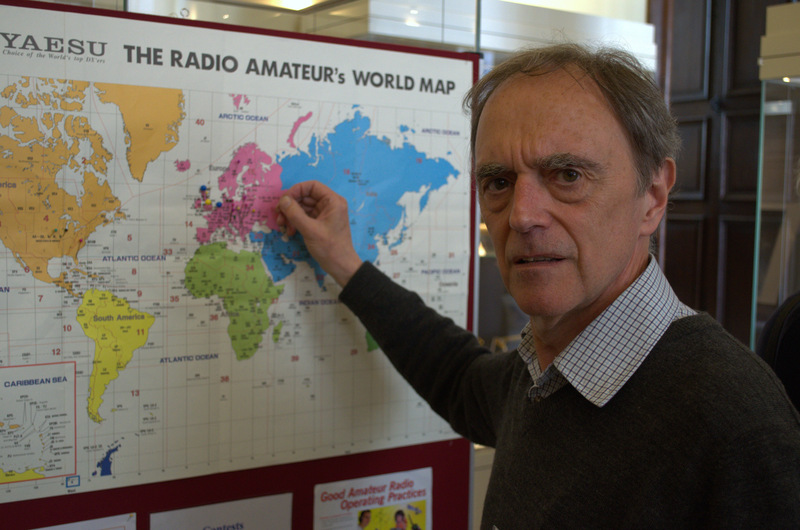 by operating a radio station GB4MHS. It was billed by the museum as See who they can contact across the globe by the power of wireless – I worked GB4MHS on 40m and 20m cw and took along my qsl card.